UW is a part of the Central European Network for Teaching and Research in Academic Liaison (CENTRAL). From 5th to 6th April representatives of five universities from CENTRAL met at UW. CENTRAL is a Central European network which comprises five universities: the University of Warsaw, Humboldt University of Berlin, Charles University in Prague, University of Vienna, and Eötvös Loránd University. Those universities work together on twelve multilateral and interdisciplinary sub-projects from the fields of mathematics and interdisciplinary humanities. 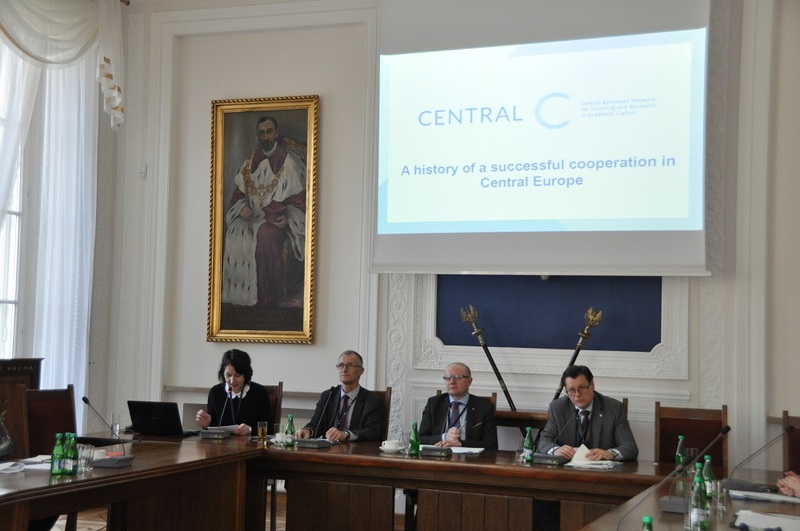 From 5th to 6th April at the University of Warsaw, there was an annual governance meeting of CENTRAL. The representatives of partner universities summed up the mutual cooperation and talked about the plans for the future.